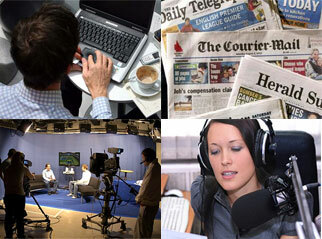 Dr Margaret Simons | The Australian Media Engagement Project (AMEP). After the keynote address, Margaret answered a number of insightful questions by well-known Melbourne journalist Shaun Carney and other participants. This is the first subject in an AMEP series that will run through 2014 – 2015. The others in the series are (1) “Estimating the benefits to Australian society, if journalists consciously valued relationships”, and (2) “Describing pathways towards more relationships-friendly journalism”. The series will run in Melbourne and Sydney. Prior to the event AMEP had evaluated some Australian media content and developed two hypotheses concerning the ethical framework generally driving media in Australia. Our aim is to evaluate these hypotheses across the various areas of interest that drive Australian society, E.g. business, education, sociology, theology etc. Two direct outcomes from this Melbourne event were to (1) seek funding for more credible research on ethical frameworks, and (2) agree the goal of AMEP. We are also preparing to consider the impact of “market-driven” policies on the ethical framework of Australian media, and more importantly, the independent role of Australian journalists in a civil society. We hope you enjoy the video presentations and give us your comments.